If you’re on a budget and looking for a smaller car, don’t the designs out there just bore you to death? The same dull shapes and weak-kneed performance, plus interiors that look and feel like an afterthought. Is this really the best they can do? If you’ve ever thought that, you’ve obviously never met the 2019 Fiat 500. Fun and funky, with European-born styling and peppy power and handling, the 2019 Fiat 500 is the cure for the common compact. Starting at just $16,495, there’s a Fiat 500 to fit any budget! Ready to buy a 2019 Fiat 500 in Fayetteville, Arkansas? Then stop in today at McLarty Daniel Chrysler Dodge Jeep Ram Fiat in Springdale, Northwest Arkansas’s only Fiat dealer! A SLEEK, FUN SHAPE: While other sub-compact cars are about as inspiring as a can of lima beans, the 2019 Fiat 500 was designed to impress, with a shape that looks like nothing else on the road. Unmistakably European, the 2019 Fiat 500’s short nose, curved roof and stylish alloy wheel designs make it a real head-turner, while eleven bright and eye-catching colors help it stand out in any parking lot. Need some fresh air? Check out the four-position power retractable soft top, a canvas roof that rolls smoothly back all the way to the rear hatch while leaving the door and window frames in place for safety and wind-resistance. Want more attitude? Then you need the 2019 Fiat 500 Abarth, with blacked-out accents and front fascia, plus a cool aerodynamic package to help it cut through the air. AN INTERIOR AS INTERESTING AS YOU ARE: With a car as small and nimble as the 2019 Fiat 500, designers have to either go with the tried and true or get very creative when it comes to interior choices. One look inside the 2019 Fiat 500 and you’ll see why Fiat designs are included in great museums all over the world. Every piece of the 2019 Fiat 500’s interior is like a modern artwork, including the bucket seats, which feature round, contrasting-color headrests on polished stanchions. Behind the wheel, front and center is the iconic Fiat logo, surrounded by polished brightwork, while just beyond is the unique seven-inch customizable digital gauge cluster, which continues the eye-catching theme with a fun, round design. The beautiful, chrome-bezeled Uconnect 3 touchscreen in the center dash keeps you in control, with features like voice command, Bluetooth streaming audio and hands free calling. SURPRISING EUROPEAN PERFORMANCE: Fiat’s racing heritage is one of the most storied of any European automaker, and that history of speed is folded into the powertrain of the 2019 Fiat 500 to create a car that is fun to drive and economical. Standard power under the hood is the reliable 1.4-liter MultiAir turbo four cylinder, a 16-valve, high-revving marvel that delivers up to 135 horsepower, 150 lb.-ft. of torque, and 33 miles per gallon fuel economy on the highway. Need more fun? Then step up to the 157 horsepower twin-intercooled 1.4-liter MultiAir turbo, which is standard in the 2019 Fiat 500 Abarth. With 183 lb.-ft of push-you-back torque on tap, it’s eight pounds of fun in a five pound bag, and can be backed by either a smooth-shifting eight-speed automatic transmission, or a responsive five-speed manual. 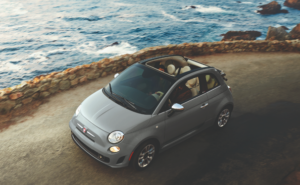 Heard enough to know you’re ready to buy a 2019 Fiat 500 in Fayetteville, Rogers, Springdale or Bella Vista? 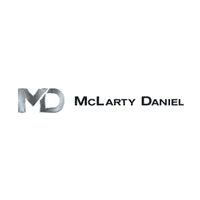 Then stop in today at McLarty Daniel CDJRF of Springdale, North Arkansas’s only Fiat dealership! Come in, take a test drive, and learn why the 2019 Fiat 500 is the affordable car with the styling, features, safety, technology and performance you need for the way you live now.